A boss guide for Heli Gunner in Final Fantasy (VII,) including boss stats, attacks, and strategies on defeating it. This boss is encountered in the Escape from Midgar section of Final Fantasy 7. The fight is ith Barret, Aerith, and Red XIII in your party. Heli Gunner’s single-target attack. It can also inflict Sleep on the target. Spinning Body Blow is also a single-target attack of Heli Gunner. The boss monster spins and hits its target dealing high damage. Make sure to heal the targeted party member. Make sure that Aerith and Red XII have Lightning and Restore Materia. 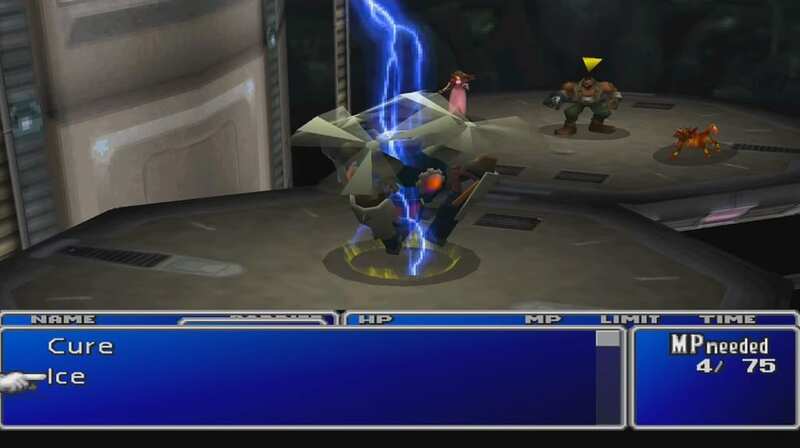 Then, ensure that Barret has a Lightning Materia embeded in his Weapon. If Barret has Restore Materia, use it to cover for Aerith when targeted by the boss. Same with the Hundred Gunner, Lightning magic attacks are highly effective to this boss. Cast spells with Aerith and Red XIII as frequently as possible. Barret’s Lighting Materia enhanced weapon can add more damage to his normal attacks and Limit Break over time.